A Senior Law Lecturer at the Ghana Institute of Management and Public Administration (GIMPA), Kofi Abotsi says former first lady Nana Konadu Agyeman-Rawlings is likely to lose her right of ownership of the National Democratic Congress logo - the umbrella with an eagle on top. Abotsi explained that if the party can show evidence that the logo was registered in the name of the NDC at the Electoral Commission, prior to Mrs Rawlings registering the same logo at the Copyright office, the claims by the former first lady could be of no effect. The ex-first lady is threatening to repossess the logo she claims she designed on her own and registered in her name at the Copyright Office in 2010. Through her lawyers, Konadu served notice she will withdraw her permission for the party’s use of the logo if steps were not taken to unite the party and respect the views of the party footsoldiers. Her threats have provoked varied responses with the party executives yet to proffer an official response. In an interesting twist, a former administrator at the Copyright Office has confirmed the claims by former first lady. Nana Bosumprah told Joy News’ Sammy Darko he personally signed the certificate of registration of the NDC logo in the name of Nana Konadu. He added, if someone disagrees with her claim, that person is free to go to court. Works and Housing Minister and a founding member of the NDC, Enoch Teye Mensah told Joy News it is too soon to start talking about the court on this issue but was convinced beyond every shadow of doubt that Mrs Rawlings cannot lay exclusive claim to the logo. Taking listeners through the “genesis” of how the party was formed and how the logo came about, Mensah said the use of the aagle on top of an umbrella was a compromise decision taken by members of the party after a series of meetings by cadres and founding members of the party. 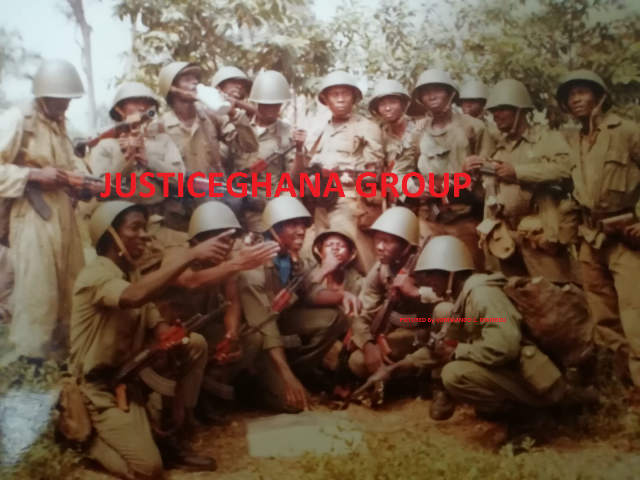 In those meetings, collective decisions were made on what name to give the new party, with members agreeing to take the letter 'P' out of the Provisional National Defence Council- the military junta that overthrew the third republic under President Hilla Limann. With the NDC now becoming a coalition of other parties, E.T. Mensah said the Egle party which was part of that coalition suggested the use of the eagle to represent the new party but that was resisted. He said the Konadu-led 31 December Women's Movement which was also part of the coalition suggested the use of the umbrella. He said in one of those meetings, a compromise was reached to put the eagle on top of the umbrella to make up the logo of the party. Asked who designed the logo, E.T. Mensah mentioned Mr Rawlings and one Kwame Addo. He was surprised that the former administrator of the copyrights office will confirm the claims by Mrs Rawlings when there are no official publications backing it. But Kofi Abotsi told Joy News depending on where the NDC registered the logo it may have a right to use it. He explained if the NDC registered the logo at the Electoral Commission, it will fall under specialized laws and will take precedence over Konadu’s registration of the logo at the copyright office which will fall under general laws. “The position of the law is that where you have a specialized institution such as the registration of electoral logos in the case of the EC, and you have a general statute such as the registration of general logos under Copyright laws of Ghana, the position of the law is that the specialized law which in this case will be the EC’s law will tramp that of the generalized law which in this case is copyright law. He insisted the NDC can still use the logo if it can establish that it registered the logo at the EC prior to Konadu’s registration at the Copyright office.